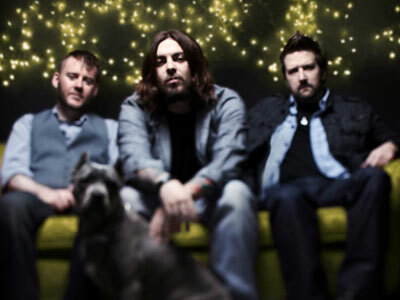 Seether Biography, Discography, Music News on 100 XR - The Net's #1 Rock Station!!! This Alternative-Rock outfit was originally formed in Pretoria, SOUTH AFRICA, in 1999, under the name of Saron Gas by singer + guitarist Shaun Morgan and bass player Dale Stewart. The two recorded an album with occasional drummer in their homeland and subsequently they were picked up by New York's Wind-up Records. The band then bolstered its line-up by recruiting lead guitarist Pat Callahan and drummer Kevin Soffera. 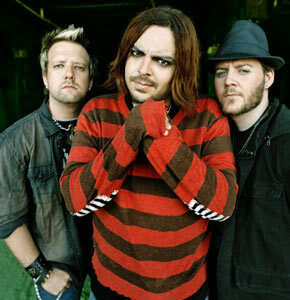 In August 2002 Seether issued their American debut full-length disc, "Disclaimer"; it cracked The Billboard Top 200 chart at #92 while the first single, "Fine Again", peaked at #3 on The Mainstream Rock chart and at #6 on The Modern Rock Tracks. "Driven Under" entered the top 20 on the same charts and the third single, "Gasoline", made it on the Active Rock top 40 chart. The band spent most of 2003 on the road playing nearly 300 shows; that fall, Soffera exited and was replaced by new drummer, John Humphrey. In early 2004 Seether with Amy Lee of Evanescence contributed the song "Broken" to the soundtrack "The Punisher: The Album", the magnificent ballad hit #4 on The Modern Rock Tracks, peaked at #9 on The Mainstream Rock chart and smashed into the top 20 of The Billboard Hot 100. During this time the band released "Disclaimer II", a repackaging of the breakthrough debut with 8 extra songs plus a bonus DVD, the set rose to #53 on The Billboard Top 200 chart ultimately achieving platinum status. Seether long-awaited second album, "Karma And Effect", was released in May 2005, it included the smash single "Remedy" which hit #5 on The Modern Rock chart and topped the Billboard's Mainstream Rock Tracks for eight consecutive weeks. The follow-up single, "Truth", peaked at #8 on the Active Rock chart while the CD climbed into the top 10 of The Billboard 200 Sales chart. The final single, "The Gift ", also grabbed a #8 spot on The Hot Mainstream Rock chart. In October 2007, the South Africa-bred, L.A.-based band churned out their third studio record, "Finding Beauty In Negative Spaces", the album was the band's first work as a three-piece following the departure of Pat Callahan in June 2006. The disc debuted at #9 in the U.S. and inside the top 10 of the Canadian Albums chart, it featured the single "Fake It", which became a massive Rock radio hit going to #1 on both Mainstream and Modern Rock charts. The second single "Rise Above This", an enduring song Morgan wrote about his brother Eugene in advance of his tragic death, shot to #1 on The Hot Modern Rock chart and fell just shy of reaching the same position on The Hot Mainstream Rock Tracks; the follow-up single, "Breakdown", peaked at #4 on both that same charts. In May 2008 Troy McLawhorn, formerly of Dark New Day and doubleDrive, joined Seether as permanent guitarist. In mid-2009 the group returned to the top of the Active Rock airplay chart with "Careless Whisper", a cover of the classic George Michael tune, the single was released in conjunction with the re-release of "Finding Beauty In Negative Spaces"; the song also hit the top 5 of The Alternative Songs chart. Soon after the fourth studio album's completion the group announced via their twitter page that guitarist Troy McLawhorn has departed the band to pursue other interests. "Holding On To Strings Better Left To Fray" was released in May 2011 and skyrocketed into the top 3 in U.S. and Canada, in no time. Also the first single, "Country Song", became a big hit on Rock and Alternative stations as it peaked at #2 and at #8 on the Billboard charts; the follow-up single, "Tonight", hit #4 on The Rock Songs and #7 on The Alternative Songs lists. Two more singles were pulled from the album, "No Resolution" and "Here And Now", both of which crawled into the Mainstream Rock top 10. 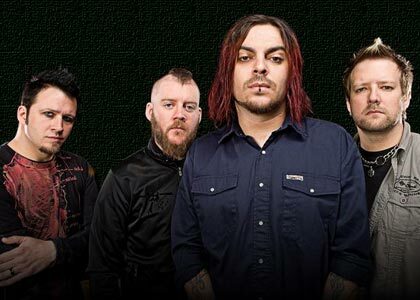 October 2013 saw the release of "Seether: 2002-2013", a 2-disc career retrospective set which includes their greatest hits, rare b-sides, demos and three new tracks. 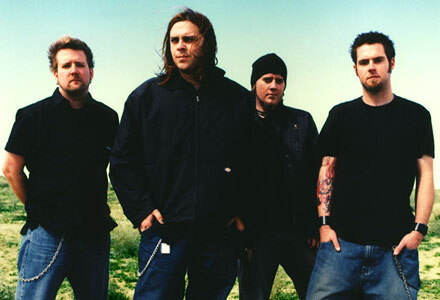 The first single, "Seether", is a cover of Veruca Salt's 1994 hit song from which the band got its name.